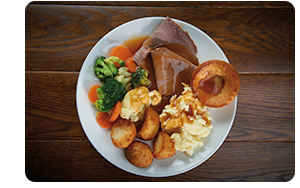 Sunday lunch served from 12 till 6.30pm – A selection of roast dinners and a range of other dishes available all day. Doggie Menu Coming Soon ! Lunchtime two course deal available, light bites and bar snacks Monday to Friday 12 till 2 in the dining rooms or the bars. 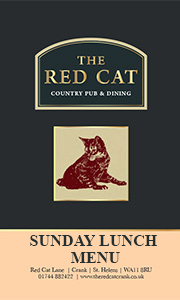 Light bites and bar snacks also available Monday to Friday 5 till 9 and all day at the weekends in the bars.